4. 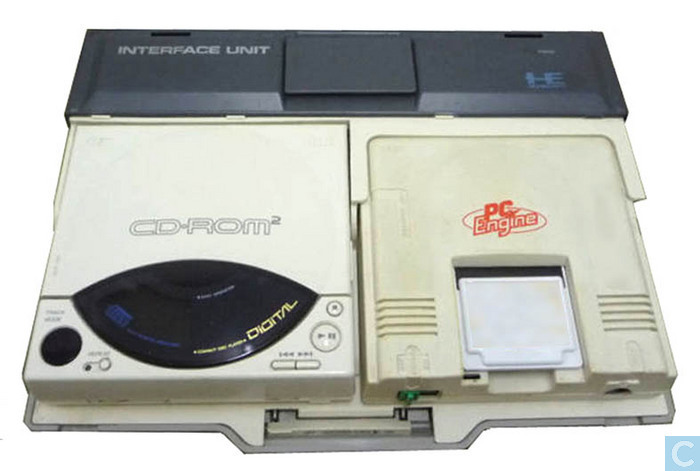 NTSC-J (Asia): Information on the Catawiki site about PC Engine CD-ROM, 1988. 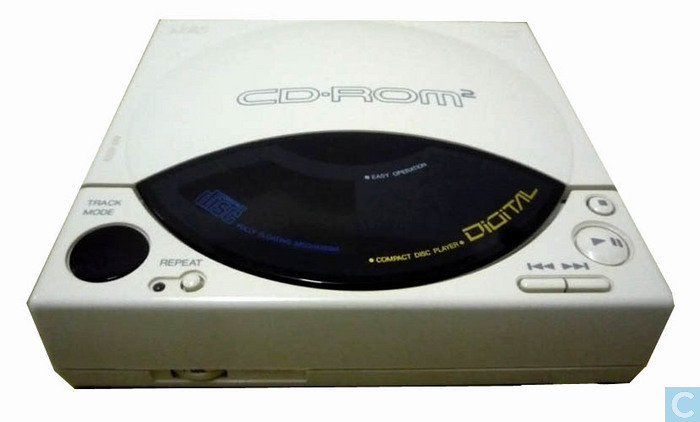 This is an external CD-Rom player for the PC Engine/CoreGrafx. A special interface (RAU-30) was necessary to connect the player to the video console. It can be used with the PC Engine, TurboGrafx, CoreGrafx and SuperGrafx. The TurboGrafx necessitates another interface. The unit is usually white, but in the USA also a black version, matching the TurbGrafx, was sold. The complete name is CD-ROM2 (superscript 2).